What is a Texas Non-Compete Agreement? Texas Non-Compete Agreement: What Is It? In Texas, a non-compete agreement serves as a measure of protection for companies are concerned about their employees disclosing their trade secrets and business practices to their competitors. 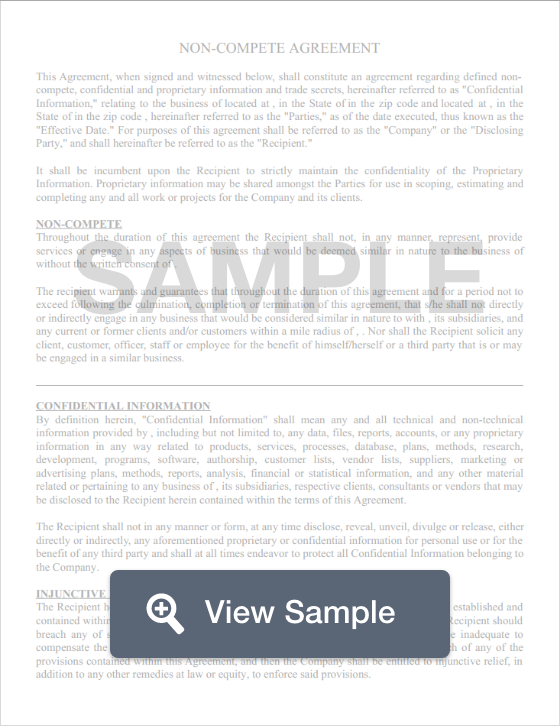 Non-compete agreements give employers a written guarantee that their employees will not leak sensitive information once their employment comes to an end. These agreements often prohibit the employee from working with a competing company for a certain period of time, and similar companies within a certain geographic radius. If the employee is found to have broken the agreement, he or she may be held liable for damages, lost profits, and even possible jail time. Texas clarifies that non-compete agreements must be fair in their drafting, and not impose greater than necessary harm to the employee in its restrictions. Furthermore, these agreements must be implemented at the time of employment.